Tishman Speyer, owner of 125 High Street executed a 102,969 square-foot lease with Boston-based law firm, Burns & Levinson. After nearly a 30-year tenure at 125 Summer Street, the firm will occupy the 3rd and 4th floor to increase efficiency and workplace collaboration. 125 High Street is a 30-floor postmodern high-rise in the Financial District owned by Tishman Speyer; the developer for Pier 4 in the booming Seaport district. Notable occupants at 125 High include Houghton Mifflin Harcourt, Wells Fargo, Morgan Stanley, and GID Investment Advisors. The building was designed by Jung Brannan Associates and completed in 1991. 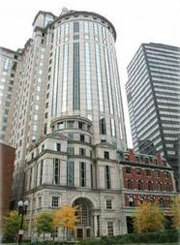 Burns & Levinson was founded in 1960 and currently employs 125 lawyers across its 5 different offices in New England. It’s regarded as one of the regions most prestigious firms.